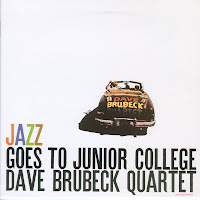 To continue with the Dave Brubeck theme as introduced in the “Seeing Out a Bit” posting, JazzProfiles now turn its attention to the drummer extraordinaire of the DBQ – Joe Morello – for further and deserved elaboration. 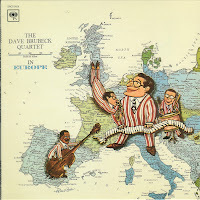 “At the start of 1956 Brubeck made a personal decision that proved to be a most important change in his group. After three years with the quartet, drummer Joe Dodge decided to leave. 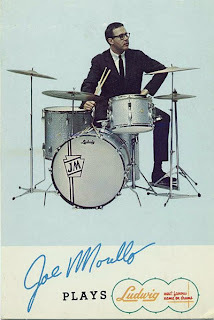 Brubeck took a chance by hiring Joe Morello. Actually, little risk accrued from this decision as Morello was a masterful choice as his polished virtuosity and marked creativity made an immediate contribution to the quartet. 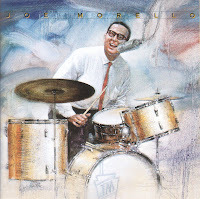 Described by some critics as a sort of purgatory for jazz drummers, Morello was to absolutely flourish in the confines of this supposedly ‘unswinging’ ensemble, especially with its high visibility, daring improvisations and later experimentation with odd or unusual time signatures. All these factors helped launch Morello to a position of preeminence in the world of jazz drumming and with good cause. The leap into the limelight was no concoction of media hype but well-deserved fame for an exceptional musician.” [p.96]. Morello was born in Springfield, MA and after gigging around New York in the early 1950’s and recording with guitarist Tal Farlow and arranger-composer Gil Melle’s group, pianist Marian McPartland brought him into her trio along with bassist Bill Crow where they appeared together at The Hickory House on new York’s famed 52nd street from 1954-56. 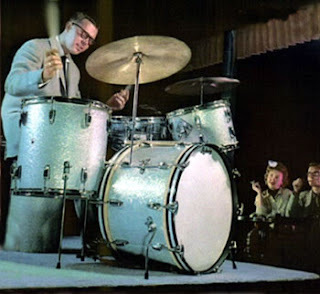 I, too, am an idolater of the perfect workmanship that is to be found in the drumming of Joe Morello as primarily exemplified in the many recordings he made with the Dave Brubeck Quartet from 1956-68. Sadly, Joe made too few recordings outside the DBQ including those under his own name. Joe is a complete musician who listens actively to what the soloist is saying and tries to contribute to it. Equally as important in this context is that Joe can play brushes as well as he can play sticks so he doesn’t mind reverting to these unwieldy clumps of wire to express his drumming something which cannot be said about many contemporary Jazz drummers [some of whom don’t even carry a set of wire brushes in their kit]. Joe is a constantly inventive drummer. 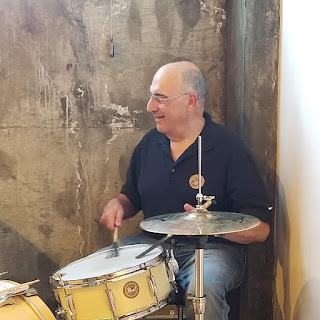 Unlike an Art Blakey or an Art Taylor or a Roy Haynes, Joe is not a drummer who played a prepared number of figures over and over again during his drums solos be these over a few bars or over a chorus or open-ended. 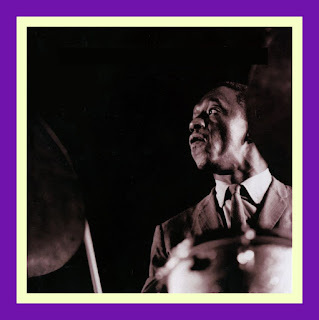 Although he played them with authority, Art Blakey repeated the same configurations in every solo he played. He may have combined these drum figures differently, but throughout his long and distinguished career Art’s arsenal essentially remained the same “licks,” “kicks” and “fills”. While Max Roach and Philly Joe Jones were considerably more sophisticated in their approach to the instrument and had a larger repertoire of invented drum figures that they employed, they were also limited to what they had practiced and memorized when it came time to taking a solo. Joe is from a school of drummers that includes Buddy Rich and Louie Bellson. They are drummers who, for all intents and purposes, know no limits and can create endlessly on the instrument. [Alan Dawson, Ed Shaughnessy and Dave Weckl are also in this category]. Like a professional athlete, these drummers essentially slow down the pace of things and are able to visualize and/or conceptualize how they are going to build a solo, especially and extended one. What enables them to do this is their technical command of the instrument, a facility that is garnered over long hours of practice, as well as, the gift of talent. Bill Evans once remarked to the effect that playing an instrument well was 98% hard work and 2% talent. Any good Jazz musician has developed from hard work and hard thought, a personal conception. 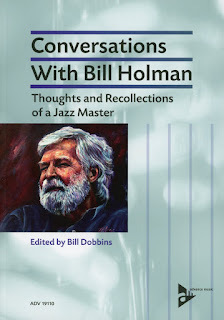 When he improvises successfully on the stand or in the recording studio, it is only after much thought, practice and theory have gone into that conception, and it is that conception which makes him different from other Jazz musicians. Once he knows what he is doing, in other words, he can let himself go and find areas of music through improvisation that he didn’t know existed. Jazz improvisation, therefore, is based on a paradox – that a musician comes to a bandstand so well prepared that he can fly free through instinct and soul and sheer musical bravery into the musical unknown. It is a marriage of both sides of the brain ….” [p, 53]. 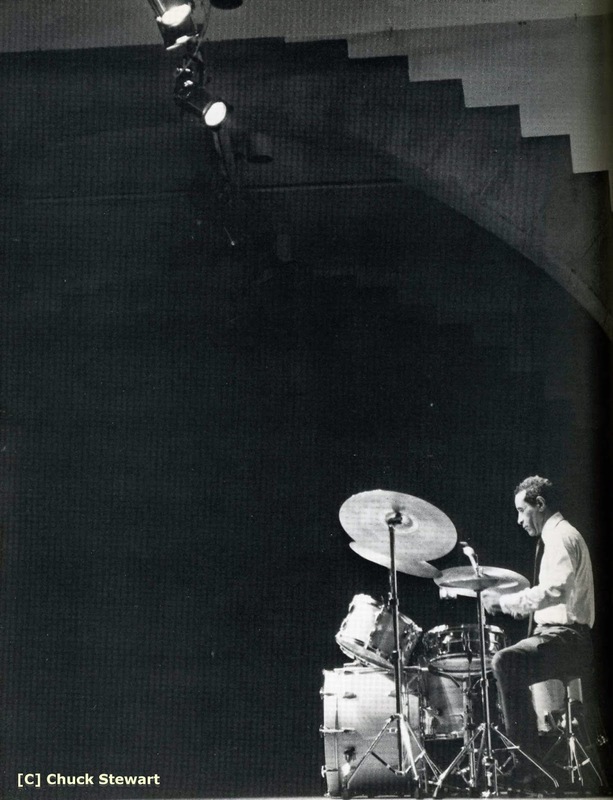 Morello devoted himself to mastering the drum rudiments [originally 26 but later expanded to 40] through long hours of practice essentially using only the snare drum. Drum rudiments are typically practiced slowly at first to gain control and to be able to initiate them or to alternate them with either hand. Once these exercises are brought to a level of controlled speed on the snare drum, they can be expanded to include the tom toms that extend from the top of the bass drum shell and those that rest on the floor beside the bass drum through the use of telescoping legs. They can even be interwoven with the use of the bass drum as played with a foot pedal although very, very few drummers are able to execute this feat [no pun intended]. For those interested in the more technical aspects of drum rudiments, a narrative explanation can be found at http://www.music.vt.edu/musicdictionary/appendix/drumrudiments/Drumrudiments.html. For the notation of drum rudiments go here -http://www.vicfirth.com/education/rudiments.html or to this site as sponsored by the Percussive Arts Society -http://www.pas.org/Resources/rudiments/rudiments.html. Joe also spent long hours developing the independence of limbs that enabled him to use all four of these at the same time on different parts of the instrument, sometimes playing against one another in contrasting time signatures. If a drummer doesn’t have to think about how to play a rhythmic pattern, he can begin to think of what he wants to play, how he wants it to sound [what drums and/or cymbals to employ to produce this sound] and how to “tell his story” either in fragments [four bar, eight bar, 12 bar etc. exchanges with the horns] or in an extended solo. Just as it is incumbent for a horn soloist to “say something” in their solo, preferably something more than just a linking pf phrases that have been heard many times before as played by other musicians, so too the drummer has to originate ideas that fit the context of the piece that is being performed and which generate a certain interest in and make a contribution to the piece in their own right. For touch and taste, one need only listen to his brushwork accompaniment to alto saxophonist Paul Desmond’s enchanting and stirring solo on These Foolish Things from the Jazz Goes to Junior College Columbia recording [CL 1034/Sony Japan Sleeve CD 9523]. Desmond was a lover of ballads and he would use them as a platform upon which to build lyrically layered and titillating textured solos. He also once described himself as “the world’s slowest alto saxophone player." And while he was slowly weaving his wonderful solos he preferred that the drummer stay out of the way and simply keep time [quietly]. While they initially clashed when Joe first came on board the USS Brubeck bringing all of his firepower to bear, Paul and Joe were later to become close friends. And although Joe is anything but “a little tinky boom” drummer he can lay down sensitive and unobtrusive brushwork behind a soloist, even helping to achieve new heights in the intensity of their solo as is the case with Desmond’s magnificent exposition on These Foolish Things. More of Joe’s magnificent brushwork can be heard again behind a Paul Desmond solo, this time on a more up tempo version of Tangerine on the The Dave Brubeck Quartet in Europe album [Columbia CL 1168/SRCS 9529] and this album is also an excellent place to hear Joe as a fabulous colorist with his use of tympani mallets on Nomad and The Golden Horde. 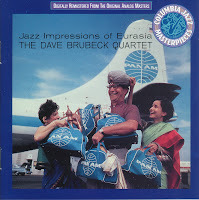 These Jazz Impression albums are also an excellent superb point from which to enjoy his marvelously constructed extended drum solos such as Watusi Drums on The Dave Brubeck Quartet in Europe, his intriquing finger drum solo meant to sound like and Indian “tabla” drum on Calcutta Blues from Jazz Impressions of Eurasia [Columbia CL 1251/CK 48531] and his clattering homage to the noises of Chicago’s on Sounds of the Loop from Jazz Impressions of the USA [Columbia CL 984]. 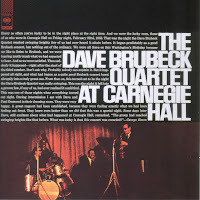 However, Joe may have reached a pinnacle of extended drum solos with the one he recorded on Castilian Drums from The Dave Brubeck Quartet at Carnegie Hall [Sony Jazz 2K61455/Sony Japan 9365-6] performance given at this distinguished hall of the arts in February, 1963. In 1961, RCA released Joe’s first album under his own name which was fitting entitled It’s About Time [RCA LPM-2486] which finds Joe in the company of a quintet made up of Phil Woods [alto sax], Gary Burton [vibes] John Bunch [piano] and Gene Cherico [bass]. It’s a corker of an album that was subsequently released in CD as Joe Morello [RCA Bluebird 9784-2-RB] and combines the six quintet tracks that made up the original LP with 9 tracks from previously unreleased 1961-62 big band sessions that were arranged and conducted by Manny Albam and which featured a bevy of prominent New York studio players. 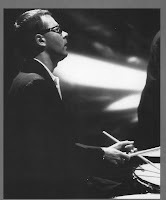 Joe’s drumming on these recordings is hard-driving and aggressive and is an example of his ability to play in a cooking, straight-ahead manner which was not always possible in the more formalized and structured setting of the Dave Brubeck Quartet. I hope that in listening to these recordings and spending time in the company of Morello’s unparalleled talent that they will serve to confirm for you the adage -“God places occasional geniuses in our midst to help inspire the rest of us to greatness.” Joe Morello is one such genius. 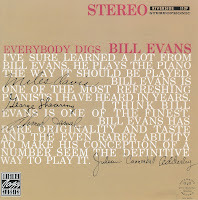 Bill Evans strikes a responsive chord with many Jazz listeners, although there are some who have the view that because of his style, he’s not a Jazz pianist at all. But those Jazz fans who like his music like it passionately. “It is a commonplace of psychology that people remember very precisely the circumstances in which they learned of certain historic events – for Americans, the death of John F. Kennedy, in China the death of Mao Tse-tung. A great many musicians and other music lovers can recall with comparable vividness their discovery of Bill Evans. In 1963, in Auckland, New Zealand, a fifteen-year-old boy, hearing music emanating from a shop, entered, listened to his first Bill Evans record, and burst into tears. This event changed the course of Alan Broadbent’s life. He went on to become one of the finest jazz pianists in a generation of players influenced by Evans. And more than twenty years later, he recalled that moment of discovery as if it had been a week ago. I recall my own discovery of Evans with similar clarity. It occurred in the early summer of 1959, shortly after I joined Down Beat. In the office, I noticed a stack of records awaiting assignment for review a gold-covered Riverside album entitled Everybody Digs Bill Evans, bearing the signed endorsements of Miles Davis, Cannonball Adderley, Ahmad Jamal and others of like stature. I took the album home and, sometime after dinner, probably around nine o’clock put it on the phonograph. At 4:00 a.m., I was still listening, although by now I had it memorized. A few years ago, I ran into Larry Bunker at one of the splendid, four-day retrospective festivals that Ken Poston bi-annually hosts under the auspices of the Los Angeles Jazz Institute - www.lajazzinstitute.org. 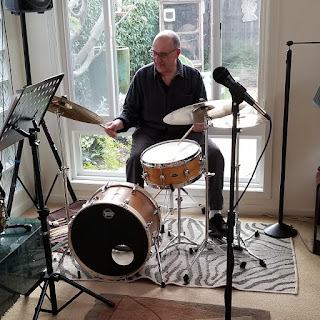 Aside from his skills as one of the premier percussionists in the Los Angeles TV, film and recording studios, Larry is a marvelous [and unconscionably unheralded] Jazz drummer. 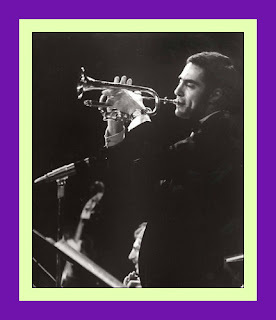 This despite the fact that he had played with Gerry Mulligan’s Quartet/Sextet, had been the drummer in Shorty Rogers many small groups, and had often accompanied Art Pepper during Art’s all-too-infrequent gigs in Hollywood. He even co-led a quartet with vibist Gary Burton for awhile and, of course, had been with Bill Evans for two years in the early 1960’s. I had known Larry since 1959. I was introduced to him by Victor Feldman, another phenomenal percussionist. Vic was the resident pianist and vibraphone player with Howard Rumsey’s Lighthouse All-Stars from 1957-59 and I was fortunate enough to study drums with him during this period. For some reason our conversation at the LA Jazz Institute event turned to Larry’s stint with Bill Evans from 1963 – 1965. I think I may have made a comment to the effect that very few people could probably answer the question of who followed Paul Motian into the drum chair with the Bill Evans trio? Larry just smiled and said: “I’ll send you some things that were written about Bill and the trio during this period,” which is how I happened to receive the following interview that Jean-Louis Ginibre, then the Editor-in Chief of the French language Jazz Magazine, that was re-published in the 1997 January/February edition of JazzTimes. “In 1965, Bill Evans toured Europe with bassist Chuck Israels and drummer Larry Bunker. I was then Editor-in-Chief of the French monthly Jazz Magazine, and had started an intensive policy of musician interviews in a Q&A form a few years earlier. 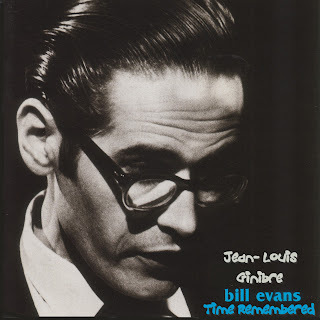 At the time, this format was very unusual but very revealing, and when Bill Evans was scheduled to play Paris, I made arrangements to interview him. He was staying at the Hotel de la Tre’mouille, situated in a street of the same name near Place de l’Alma on the right bank. When I arrived in his room, I was surprised by the darkness of the place. It was daytime but the curtains were closed, creating a murky, claustrophobic environment. Bill introduced me to Elaine, his wife, a lean brunette with a sad smile and piercing eyes. The interview lasted more than an hour, an hour in which Bill, soft-spoken and ensconced in a large arm-chair, answered my questions candidly and articulately, without seeming bored or preoccupied. Most probably understanding my feeling ill-at-ease during the first few minutes of my visit, he made a concerted effort to be extremely charming. Jean-Louis Ginibre: Have you ever read sensible magazine articles about you? Bill Evans: Yes, as a matter of fact, a couple of times I read some critics that got to me. I thought they were justified, and I modified certain sides of my playing accordingly. As far as I’m concerned, everybody’s right. It’s only a matter of viewpoint. Almost everything that has been written about me has been bright and sensible. The press has been good to me. Except a couple of articles out of two hundred, all of them have been very favorable. I’ve been very lucky. Some critics say your music is impressionistic. What do you think? I love impressionists. I love Debussy. He’s one of my favorite composers. I’m not crazy about painting, but if I was, I would prefer the Impressionists. Sometimes, I feel like I’m living two hundred years behind, back in the eighteenth century, not in the twentieth. So I don’t know if I’m an impressionist or not. I have the desire to change, but I feel I can’t as long as I’m not able to replace what I’m doing by something better. I haven’t found anything better yet, so I’m satisfied with what I have. Are you searching deliberately or do you let yourself go? I let myself go. I find as I go along, I feel like I’ve learned from many people, and yet I’m told that I’ve influenced other musicians. I hardly believe I’m as talented as some others. Someone with talent possesses a kind of facility and plays well as early as 16 or 17 much better than I could play at that age. I had to practice a lot and spend a lot of time searching and digging before I got anywhere. And because of that, I later became more aware of what I was doing, I wasn’t an imitation. I found myself with a synthesis of the playing of many musicians. From this something came out and I think it’s really mine. Yes, I am … I worked hard to get it and I had put all my hopes in it. But I see so many talented people who are not successful …. When you started, what piano players did you admire? I think first Nat King Cole. A great pianist. And then Earl Hines, Bud Powell. Bud had been my greater influence because he’s got a sense of form. Also Dave Brubeck, George Shearing, Oscar Peterson, Al Haig and Lou Levy. You see, you learn from everyone. 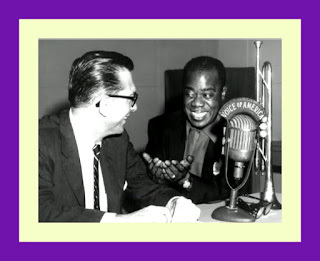 From Nat King Cole I’d take rhythm and sparsity; from Dave Brubeck a particular voicing; from George Shearing also a voicing, but of another kind; from Oscar Peterson a powerful swing; from Earl Hines a sense of structure. Bud Powell has it all, but even from him I wouldn’t take everything. I wouldn’t listen to a recording by Bud and try to play along with it, to imitate. Rather, I’d listen to the record and try to absorb the essence of it and apply it to something else. Besides, it wasn’t only the pianists but also the saxophones, the trumpets, everybody. It’s more the mind “that thinks jazz” than the instrument “that plays jazz” that interests me. Not too much. I like him a lot. What comes from Monk, some others absorb it, too. He’s such a strong and beautiful individual that imitating him is insulting him, and it’s a mistake to do so. You give up your own personality when you imitate him – or anybody else for that matter. Can you talk about your experiments in the field of rhythm? Not really. It’s only a feeling. I started professionally at 12 ½. Everybody wants to play jazz after school, and out of hundreds of thousands, only a few people emerge. So it’s not like you decide what you’re going to do and shut yourself in a closet to practice. I think that jazz is the folk music of our country, and I believe it’s gonna spread and develop more. I don’t like what has no tradition. But I do not especially experiment in the field of rhythm. When you were 16, you put a band together with your brother …. It was in college. I had already played with older musicians in dance bands, so I had a good background. With my brother we put together that band made exclusively with students. I started to play piano at six. I used to play classical music and only what was written. If they’d ask me to play “The Star Spangled Banner,” I couldn’t have done it without the part. At 12, I was starting to play in bands. I was playing what was written until the day I did something that wasn’t. It was wonderful to find something that wasn’t written and yet sounded good! That’s what really led me to jazz. Among these students playing with you, is there one who became a professional jazz player? No, But, my God, America’s so big! Each college has one or two bands. Everyone wants to play and plays a little. In New York, it’s pathetic to see so many superb musicians who are starving. Maybe somewhere else they would be kings, but in New York, they’re nobody. I had to fight myself for a long time. When I arrived in New York, I had to wait three years before I made it. But it’s very hard. If you succeed easily, you run the risk of falling back down as easily. But if you take the time and your talent is real, it will last. You were still in college when you played with Mundell Lowe …. Yes. I was in college in Louisiana. Mundell Lowe came to town and someone from the college asked him to listen to me. At that time, I was a junior. Later on I received a cable: “Do you want to work with me this summer?” Of course I accepted and worked with him and Red Mitchell. I wanted to quit college but he advised me to complete my studies. Later on, thanks to Mundell, I met Tony Scott. When I cam out of college, Tony found some work for me with Herbie Fields. I stayed ten months with Herbie, and then I was drafted. After three years in the army, I went back home to New Jersey and stayed there one year and a half. Then I went to New York where I sweated it out for two or three years. And it started to happen. In fact, it’s been only two years since I’ve been able to breathe. I can get what I want, and I don’t want much. Yes, two years ago. In some ways he had been a forerunner of Rock ‘n Roll. He was wiggling, jerking. Rock ‘n Roll came, brought millions of dollars, but nothing for Herbie Fields. Then his wife left him, taking the kids. He was drinking, he had nothing left. So he killed himself. It’s better for him. I’d rather see him dead than living and going through all that suffering. You played with Eddie Costa …. We were very good friends. We recorded once together, but we didn’t play often together. We both liked sports. One hour before he got killed, I was with him. How did Miles Davis hire you? He called me on the phone. I’d simply met him once at “The Composers.” Someone had introduced me. Six months later, he called me to ask if I wanted to work with him for the weekend. He probably liked me because he hired me. Did you rehearse a lot with Miles’ group? No, never. And I never rehearse with me trio either. We understand each other very well. If you know a tune, we must be able to play it. Each musician has enough musicianship for that. Since the beginning, we’ve never rehearsed with the trio, and with Miles we didn’t rehearse either. Why did you leave Miles? I was very unhappy when I was with him. I don’t know exactly why, but I felt at one point it was time for me to go. I told Miles about it and he agreed. We’ve remained very good friends. Did Miles ask you to play in a particular spirit? He started to ask me that, but I didn’t let him. Miles can push you around if you let him do it. But if you resist, he’ll like you even better. What did you think of your experience with Scott LaFaro? It’s been marvelous. It wasn’t only a musical experience. Scott was one of the liveliest persons I’ve ever known. He’s always been a source of inspiration to me. I don’t know what would have happened if he hadn’t died. He has gone so far so fast! I don’t think he would have gone much farther. Did you believe you could ever replace him in the trio? I don’t think he can be replaced. I’ll never find someone like him, but I found someone with other qualities. Chuck Israels plays superbly and offers things Scott didn’t have. But I’ll never be able to find someone like Scott or Chuck or Gary Peacock. Why didn’t it work with Gary Peacock? Gary is in the middle of a personal crisis, and I don’t want to impose my ideas and my style on anyone. I’ve too much respect for Gary’s talent to impose on him in any way, and I wanted to give him a chance to find himself. The more he played with me the more he liked what we were doing, the more he believed in it. However, I felt he wanted to do something else and I didn’t want to force him. So we split. How did you break up with Paul Motian? It’s him who left us! In Los Angeles. He left because he was suffering from the separation from his wife and also because of small disagreements in the group, disagreements I won’t try to explain. I like Paul very much. He stayed with us a long time. Yes, and I play some for my own pleasure. All the great masters: Back, Brahms, Debussy, Beethoven, Bartok, Stravinsky. I feel I don’t quite understand what happening today in classical music. I try to understand, but it doesn’t move me. You have recorded with Gunther Schuller and George Russell. What are your feelings about it? I admire them both, but I don’t agree with a great many parts of Schuller’s opinion and with some of George Russell’s. Still, I consider Russell as being one of the few – if not the only – good jazz composers. Schuller has a lot of knowledge, he is a wonderful musician. But I’m still waiting for someone, I do know who, but I’m still waiting. You played in the ‘Odds Against Tomorrow’ movie soundtrack. What did you think of that experience? I’ve been a little disappointed. In the movie, there’s a seduction scene between Robert Ryan and Gloria Grahame. I improvised on it. I was looking at the picture while improvising and I’d coordinated my improvisation with what was going on on the screen. When I saw the movie, I realized the music had been edited with a four second time lag. It didn’t mean anything anymore. What does the word ‘freedom’ represent to you in music? For me, “freedom” is to make room where there isn’t any to start with. You take a music part. It seems there’s no freedom in there, but if you take the time, and if you understand what’s in the part, you’ll find as much freedom as you want. You can also throw the part away, sit down at the piano, and play with your elbows and say: “This is freedom.” Not for me. The most valuable freedom is one which has strength, because it is won against something solid, something rigid. Do you listen to Ornette Coleman? We were on the same bill in New York for two weeks before coming to Paris. I can’t deny that some people seem to like it, but it’s not at all my musical approach. I’m not Ornette Coleman and it would be useless for me to try to make that kind of music. I’d have to live my life again and be someone different, that’s all I can say. During this engagement, did he also play violin? Yes, violin, but you could call it violation! People often say that you are the best pianist to have come along in ten years. How do you feel about that? I don’t know. Deep inside I’m the same. I play the same standards the same way, and I was as good as before no matter what they say. So, it doesn’t make any difference to me, except that if there were enough people to say that, maybe I’d make more money. But in fact, what people say has no importance. I know who I am, somebody very simple and very basic. I feel I’ve been lucky. Yes, but I don’t seem to communicate well with them …. Is it important to communicate with people? I dedicate my life to it. But sometimes in concerts or in clubs you fail to. Of course. Like in any other profession, there are good and bad moments. Of course, I feel responsible. Is there another art form you consider superior to music? Are you a tolerant man? I try to be, but maybe inside I’m not at all. In other words, I don’t want to hurt anybody, but I have to be very strict to contain myself. When you asked me about Ornette Coleman, you know what I answered. But deep inside it could very well be I’m strongly against his music. 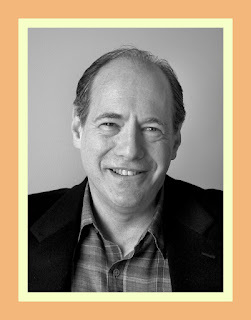 Chuck Israels seems to be more affirmative in what he likes and doesn’t like …. I don’t know Chuck very well. I think it’s hard to know him, but I like him a lot. Musically, we understand each other very well. Your first personal recordings were made for Riverside, a company run by Bill Grauer. Were you close to him? No really. Bill handled the administrative side of Riverside and Orrin Keepnews the artistic side. So I had very little to do with Bill Grauer and as little as I had to deal with him, it wasn’t very gratifying. He was very rough. I was very sorry to hear about his death, but I didn’t have any good things to say about him when he was alive. Do you think his death caused or speeded up Riverside’s bankruptcy? No, rather, Riverside’s upcoming bankruptcy precipitated Bill’s death. He probably had put Riverside so much in the red; they couldn’t get out of it. They were working with very small capital and they borrowed from the banks to expand. They went too far and ended up bankrupt. Do you like your album Conversation with Myself? Partly. Four cuts have been published without my consent: Hey There, Blue Monk, and two others. I had decided not to include them in the album. But I like Spartacus, ’Round Midnight, Stella by Starlight and How About You. This album has won many awards, among them a Grammy. It was a good concept I think. Are you totally satisfied with your present group? Very satisfied. Chuck Israels plays beautifully. Larry Bunker, of course, is a well-rounded musician and a great drummer. Both of them are very sensitive, understanding, and I think at many times we are able to experiment with something new. The potential is there. During interviews, what questions are you most often asked? “How do you call what you are playing?” And I have no answer to this question. What are you interested in besides music? I’m interested in sports. I’m not in shape right now, but I always practiced and I love it. Baseball, football. Of course, you can’t play anymore as you get older. But I love golf, bowling …. So, you have no ambition to become a congressman or a senator? No. The funniest thing is, in college, I was always elected for that kind of office. But I think I often accepted it because it appealed to my pride. I wanted to be accepted. It wasn’t for the position. If the world depended on people like me, we would all live in caves. What has been your most unpleasant experience? It’s hard to tell. In my life what affected me most was the army. I was so unhappy that I still haven’t gotten over it. Besides, I often have the same nightmares: I dream that they’ve lost my papers and I’ve got to do three more years! Do you believe in a kind of superior power? The only superior thing that I’ve experienced is music. When you think of the future how do you envision your career? I never think beyond the day after tomorrow. And not even that far! But if I was fantasizing, I would think of composing. But it’s only a dream. In fact, I don’t see beyond tomorrow. No, the only thing I’m afraid of is death. When I was eighteen or nineteen I could have died. I was ready for death. Today, I’m not anymore. I’ve lost too much time as it is.